SKU: 1012. Category: Urine Drug Testing. Do you have a drug test coming up soon? Are you not sure if your detoxifying products will work or not? Start using the Supreme Klean Daily Pretox Capsules to avoid risks and pass your test confidently. We recommend these Pretox Capsules as a daily supplement. Each bottle comes with 60 tablets, which are to be used for one month. 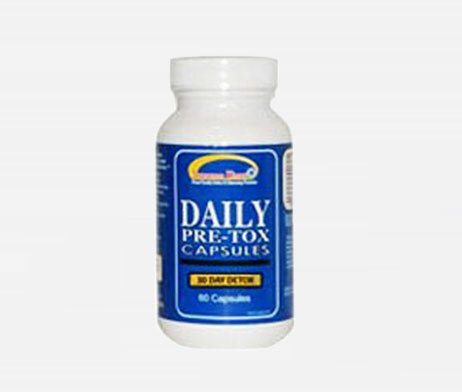 Although most detoxifying products are quite effective, this additional supplement ensures that the detoxifying process is improved and cleanses your body by flushing out the toxins through urine. This will make it easy to pass the urine drug test. You should use this additional supplement along with Ultra Klean Detox Drinks, Quick Flush Caps or The Stuff Chewable. Using this product alone will not help you pass the test. These Pretox Capsules can be used daily as they are gentle yet effective. It is to be noted that Pretox Capsules are not a replacement for any detox product. They will only improve the process of detoxification and ensure more effective results. It is also highly recommended for those who are looking for a product to enhance their detox program or any daily cleansing procedure they follow. They are healthy and do not have any side effects on your system. It is recommended to take 2 capsules every day before your first meal with 16 ounces of water. Following a strict Detox program for 7-14 days will help you cleanse your body thoroughly and flush all the toxins out of your body. You can easily pass a urine drug test, blood drug test or a saliva drug test. Please remember that using the above mentioned drugs will make Supreme Klean Power Flush Detox Tea and Supreme Klean Fast Flush Capsules ineffective. Try to avoid the use of these drugs at least 3-4 days prior to the use of the above mentioned products. Whether you abuse drugs regularly or very rarely, passing a urine drug test is something that is vital for any person who has used drugs. 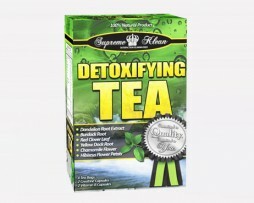 Supreme Klean Power Flush Detox Tea is one of the best detoxifying drinks that can cleanse your entire body. This product has been produced by a set of experts who are highly experienced and have done a thorough research in this field. It has 99% hit rate. You can easily pass any urine test or blood test with Supreme Klean 1 Hour Cleansing Softgel. It is a safe and healthy way to remove unwanted and harmful toxins from your body. We recommend you to use our product on the day of the drug test to get a body that is free from toxins. It is very effective and helps you enhance the Detox program. Urine test is one of the most common drug tests performed to check if a person has abused drugs. If you have a crucial urine drug test that you need to pass and if you do not want to take chances, then you should definitely use Supreme Klean stuff chewable tablets. This is an amazing product that replaces the use of Detox drinks. Stuff chewable tablets eliminate the need to consume a large quantity of detox drinks to pass a drug test. The stuff chewable tablets are available in fruit flavors which make it even more comfortable to use them. Irrespective of whether you use a detoxification product or not, it is always advisable to drink lots of water and indulge in rigorous physical exercises for at least a week or two prior to the urine test to make sure the toxins are flushed out of your body.